On Saturday, September 10, something remarkable happened in San Rafael, California. 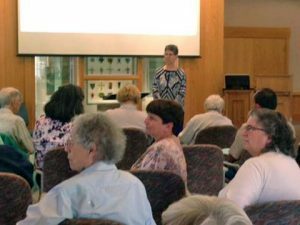 The Dominican Sisters invited Nancy Sylvester, IHM, to share a program on communal contemplation, the transformation of consciousness and contemplative power. Sisters who attended the day represented several other religious congregations: Dominican Sisters of San Rafael, Sisters of Mercy of the Americas, Sisters of the Holy Family, Sisters of the Good Shepherd, Sisters of Social Service, Daughters of Charity, Dominican Sisters of Mission San Jose, Sisters of St. Joseph Carondelet, Adrian Dominicans, and Sisters, Servants of the Immaculate Heart of Mary, Monroe, Michigan. As the day came to a close, the participants reflected on how they felt called to exercise contemplative power. One sister asked if there was any way we could exercise contemplative power in relation to the charged atmosphere in our country around the elections. 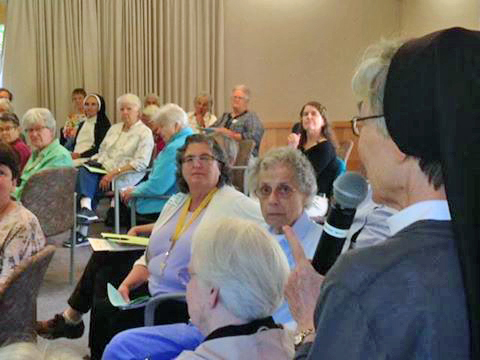 Reflecting on and discussing this possibility, the group of 55 sisters committed to engage in a regular, communal contemplative practice, both in this period leading up to our national elections and the time following it. We invite everyone to join us in this exercise of contemplative power. You may wish to create your own group and to set a specific time or place. Share your commitment/participation on your Facebook page and include #contemplativepower. 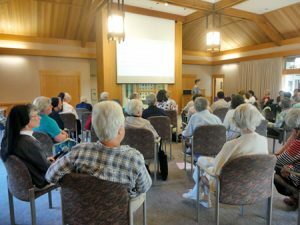 Learn more at the Institute for Communal Contemplation and Dialogue (ICCD) http://www.iccdinstitute.org/home/ and to find resources regarding communal contemplative practices. Twenty minutes a day in faith can move mountains!